Christmas is just around the corner and your gadget fanatic/geek friend or one of your family member's wishlist is to have a brand new mobile phone this holiday season. I'm sure that if you're already a Cherry Mobile phone user, you will recommend this brand to them. I've been a Cherry Mobile phone user since they had released the first era of call-and-text-mobile phones circa 2009 and I'm proud to say that it's one of the most sturdy and affordable mobile phone brands in the market today. Great news! 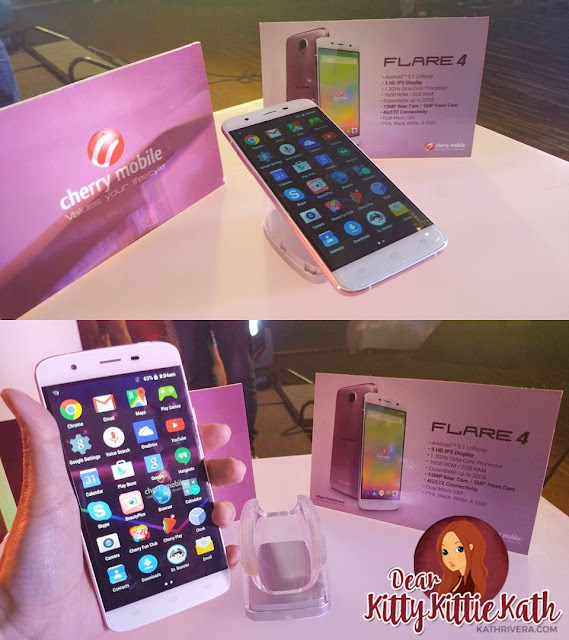 Cherry Mobile Philippines launched three smartphones last October 9, 2015 at the New World Hotel in Makati, Cherry Mobile unveiled these new affordable LTE smartphones – the Flare 4, Flare S4, and Flare S4 plus. More details about these phones below! Along side the introduction of Cherry Mobile’s newest smartphones, the event also revealed the new face of the Flare series – Ms. Anne Curtis. 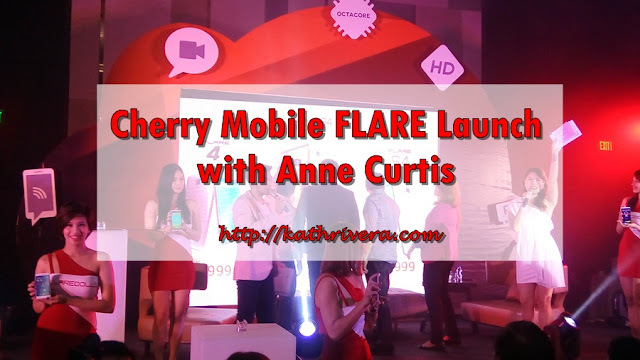 One of the country’s most sought after celebrity endorsers today, Anne has been a partner of Cherry Mobile for years now, and has been a witness of how the brand has constantly changed the industry through their products. She sang a few lines from the song Chandelier during the event. 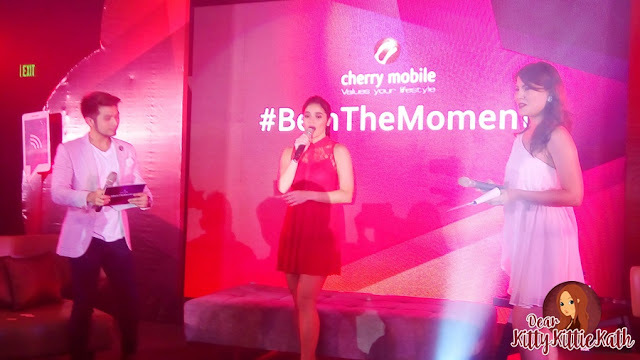 She also helped the Cherry Mobile representatives in awarding the Cherry Mobile Flare phones to lucky attendees. Considered to be one of the most powerful and fastest smartphones in the market today, the Cherry Mobile Flare series never fails to excite tech savvy and novice users with its beefed up features – while still staying within its affordable price points. Battery capacity: 2100mAh for the Flare 4 & 2200mAh for the Flare S4. Graphics: 5” HD IPS displays, with a 720x1280 HD quality resolution. Camera: 13MP and 5MP – rear and front camera specs, coupled with G, Light, and Proximity Sensors. Storage: 16GB built-in storage allowance, which can be expanded up to 32GB via a microSD card. Wi-Fi and Bluetooth 4.0 capabilities. Connectivity: LTE ready for via Dual Micro SIMs. 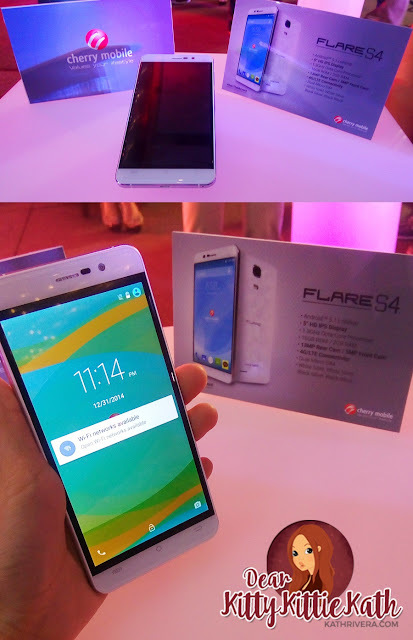 Flare S4 – available in White Gold, White Silver, Black Silver, and Black Black. Android Lollipop 5.1 processor – but an upgraded 3GB of RAM, to guarantee smoother multi-tasking and usage. Battery: 2,800 mAh battery capacity. 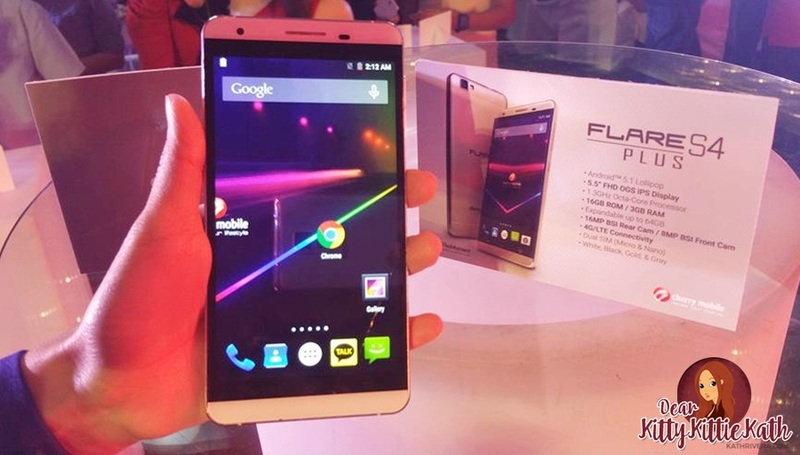 Graphics: 5.5” FHD OGS IPS display with a 1080x1920 FHD resolution quality. Storage: 16GB built-in storage space – which can be further increased to 64GB via a micro SD card. Camera: 16MP BSI rear camera, and 8MP BSI front camera. Connectivity: Wi-Fi, Bluetooth V4.0, GPS/A-GPS navigation, and is LTE ready via a Micro SIM or Hybrid Nano SIM Micro SD card. Flare S4 Plus available in wither White, Black, Gold, or Gray. Cherry Mobile Flare 4, Flare S4, and Flare S4 Plus truly offer every Filipino the opportunity to make their own mark with their phone’s power and speed. These new Cherry Mobile devices will be available at Cherry Mobile concept stores and kiosks nationwide starting end of October. Cherry Mobile is a Philippine-based company which aims to bring value to Filipino lifestyle. Established in 2009, it brings a wide array of choices from feature phones to smartphones and tablets. Cherry Mobile continues to develop partnership with trusted phone developers to further strengthen its stance in the local mobile telecommunications industry. the smartphone company looks promising! Yes, the company is promising. They are producing quality and affordable phones from the very beginning. Gives me an idea what to buy, the phone looks good as well as the specs. It is better to see them in actual photo. I had a 5-second fame when I kissed Anne Curtis during the launch! Muntik ko na makalimutan yung prize ko! Hahaha! Ikaw na ang nag-wagi :) Mabuti di nag-jelly si Amor.